“The business world has, theoretically, always been aware that it operates surrounded by risk. Indeed, any business consists essentially of deciding to take certain risks (and to make every effort to avoid others!). In the 15 years or so since the great tech industry crash of the late nineties and the early part of this century, the names of Enron, World Com, Global Crossing and others have resounded everywhere. This was the progenitor of huge volumes of legislation, and possibly the genesis of the new focus and specialisation of evaluating and managing business risk, or certainly of the greatly heightened interest and focus on the subject. It has not, of course, stopped there. We have had the great mortgage and financial industry breakdown, leading to more legislation, a lot of it impenetrable (there are, for example, estimates that Dodd Frank and the Volcker commentary will take 5 years to interpret), and more spectacular failures and frauds — LIBOR, numerous banks, Volkswagen, Toshiba, Sony, our own Satyam — to mention only some recent ones. In this environment, the need for a specialist qualification providing academic and theoretical foundations, along with a practical and pragmatic approach to evaluating and mitigating business risk, while avoiding throwing out the baby with the bathwater, is so compelling that it hardly needs to be evangelised. 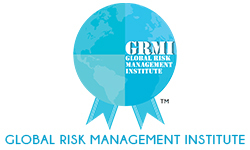 Global Risk Management Institute aims to provide this platform and a formal qualification to aspirants to a career in the business world. How to evaluate, mitigate and take risk is more than building models. To learn this, it is necessary to work with those with experience as well as knowledge and deep immersion in the reality of the everyday world. The commitment and combination of some of the best academic minds with actual practitioners, supported by leading professional services firms, will provide a qualification that is valuable wherever business is done. This also fits in with today’s globalising world, as well as India’s growing role in it. “Late Mr. Amal Ganguli is a Fellow of the Institute of Chartered Accountants in England and Wales and of The Institute of Chartered Accountants in India. 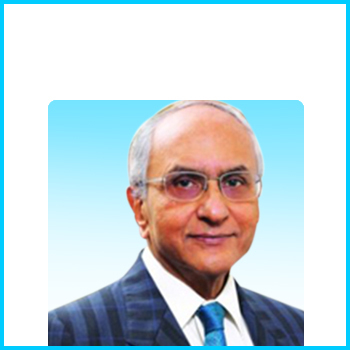 Mr.Ganguli spent his entire professional career of 40 years in PricewaterhouseCoopers, where he became a partner in 1996 and held the office of the Chairman and Senior Partner from 1996 till 2003, when he retired.